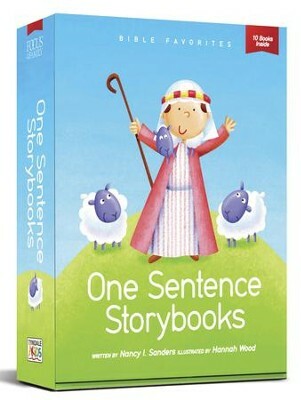 This set of 10 delightful minibooks will help beginning readers recognize basic vocabulary words while learning about 10 beloved Bible stories. These creative books teach reading in the strongest way possible using repetition in a way that draws children in and brings them joy. 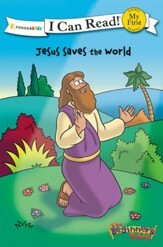 The last word of each sentence part in the story is featured vocabulary word on that page for a total of four featured vocabulary words for each minibook. Each page builds on the previous one both in art and text. 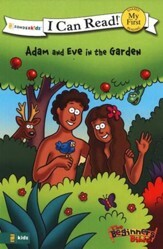 The final illustration is always the whole scene of the story, giving an understanding of the sentence as a whole! 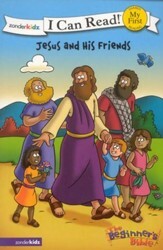 This set of 10 delightful minibooks will help beginning readers recognize basic vocabulary words while learning about 10 favorite Bible stories. These creative books teach reading in the strongest way possible using repetition in a way that draws children in and brings them joy. 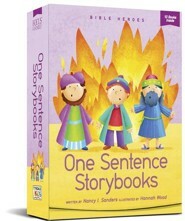 The last word of each sentence part in the story is the featured vocabulary word on that page for a total of four featured vocabulary words for each minibook. Each page builds on the previous one both in art and text. The final illustration is always the whole scene of the story, giving an understanding of the sentence as a whole. 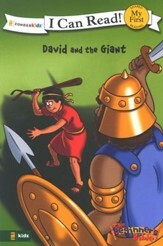 I'm the author/artist and I want to review One Sentence Storybooks--Bible Favorites.